FILE - House Majority Leader Steny Hoyer speaks to journalist about the partial government shutdown in an image posted to his Facebook page on January 3. 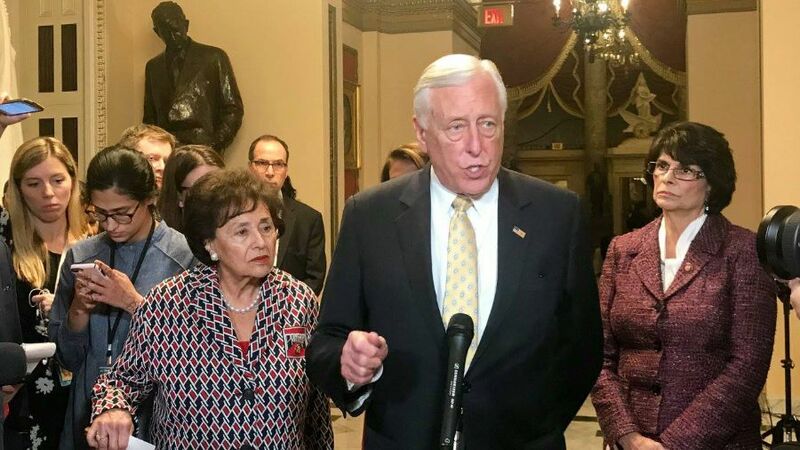 Hoyer contradicted Speaker of the House Nancy Pelosi on Wednesday by saying that building a wall "is not an issue of morality." Hoyer dismissed the idea that the wall is racist and further noted that Americans should not be framing the argument with racial motivations.